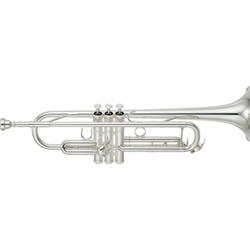 Yamaha Intermediate Trumpets feature laser-fused, pluzuma-welded bells for continuous, even vibrations in all registers. The gold-brass leadpipe is corrosion resistant. Hand-lapped valves ensure a precise, airtight fit between casings and pistons. Hand-lapped slides provide fast, smooth action for tuning. Two-piece bell is made of gold brass for a wide range of tone colors and to promote good technique and endurance. 2nd and main tuning slides are produced using the same method as high-end Yamaha models.